The 391-hectare Ohlsdorf cemetery is the largest park cemetery in the world. Given the changing funeral culture and the fact that traditional burials are on the decline, Ohlsdorf has created a long-term master plan for development and management called OHLSDORF 2050. This new plan aims to create a clearer distinction between its intensive cemetery areas and extensive park areas. 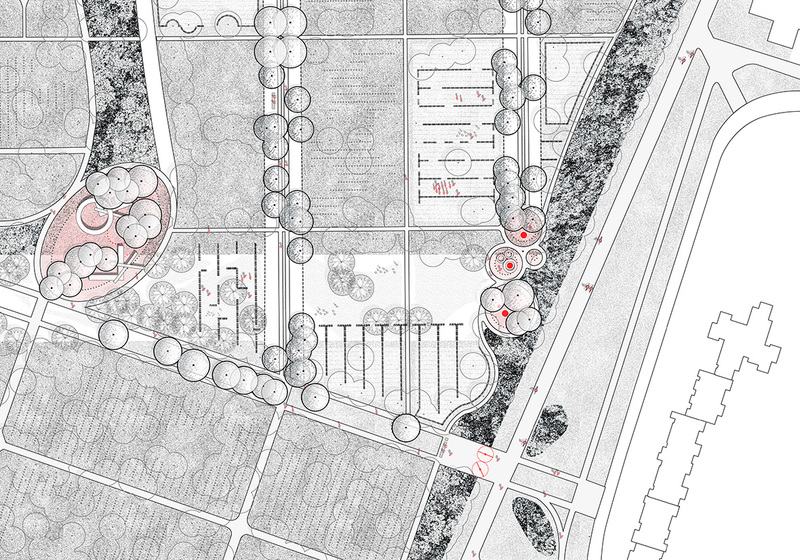 With this goal in mind, a competition was held to design a step-by-step transition from a traditional cemetery to a new post-cemetery landscape. Participants were given a 16.5 hectare area to test their ideas. In the end, karres+brands’ proposal, “From necropolis to a lively city,” won the jury’s hearts. 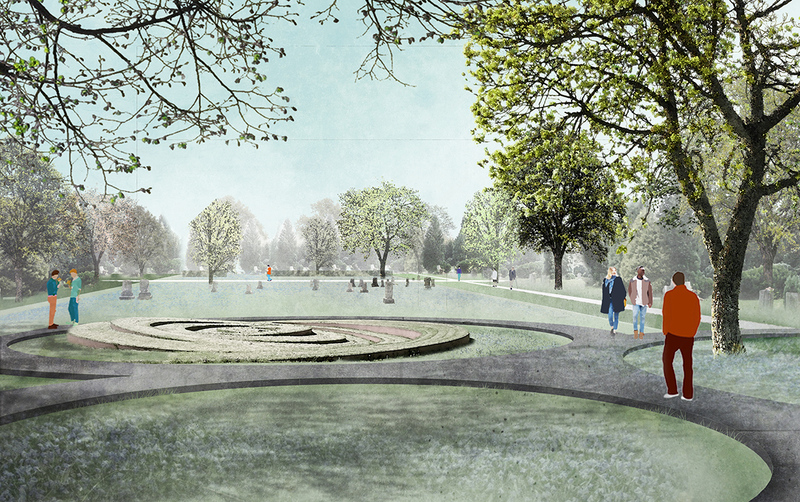 In addition to its aesthetic qualities, clear position and strong concept, this multilateral design provides an intellectual interpretation of the cemetery’s history. 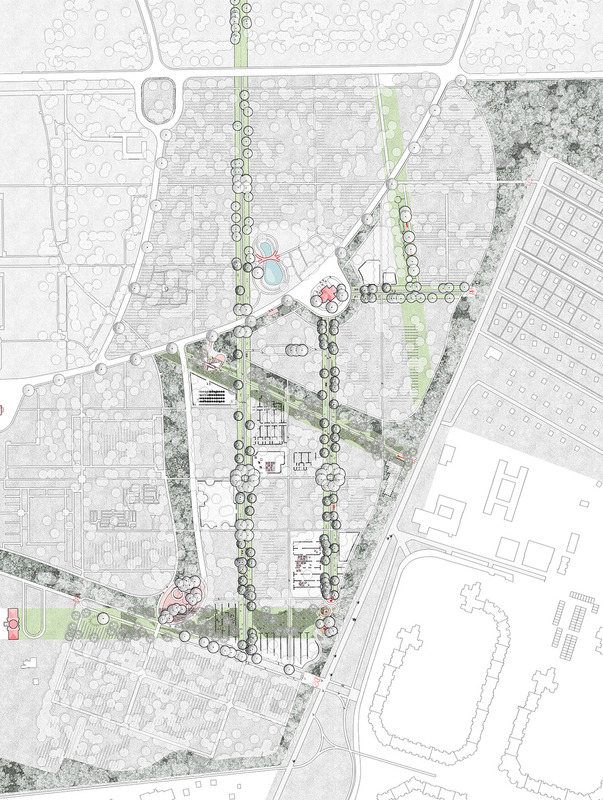 In the coming months, karres+brands will further develop its winning proposal into a strategy to be implemented throughout the entire Ohlsdorf cemetery.